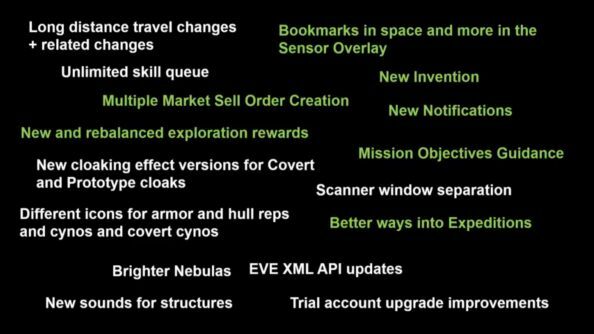 CCP have just dumped a megaton of information about the new features in the upcoming EVE Online “Phoebe” expansion, as well as what’s to come as we head into 2015. Phoebe will introduce the long awaited “unlimited skill queue”, allowing players to queue up year’s worth of skill training at a time. There’s also new exploration content aimed at rewarding skilled probers, and new tech II weapons – dubbed “glass cannon weapons” – that offer considerable firepower, but at a cost. Meanwhile, CCP have big plans for December’s “Rhea” patch. 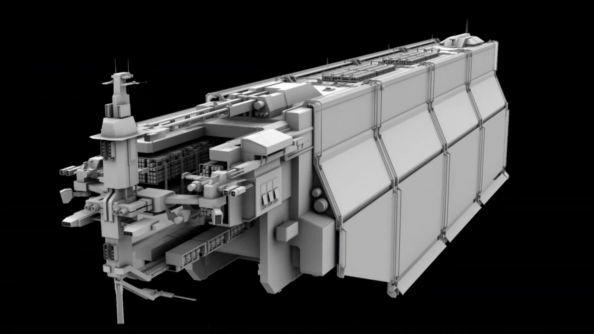 A lot of it is top secret stuff, but CCP teased two new ships – the “TUG” freighter-sized ship hauler and Tech III Tactical Destroyers – with a slew of major model reworks. The corporation and alliance system is also receiving a quality of life change, in regards to recruitment and kicking. CCP want to encourage an easier way for corporations to recruit members, while keeping in mind the natural risks associated with it (spies). You’ll also be able to queue corporation members to be “kicked” out, which will do so as soon as their default 24 hour cooldown is up, which could be abused to lengthen out the process. Phoebe will introduce new exploration content aimed at players with exceptional skills at probing down sites. The idea is that some sites will be more difficult than others, but for the potential rewards to scale with it. There was also a brief mention of a new type of weapon dubbed only as “glass cannon weapons”. These will be notably more powerful than their tech II counterparts, but at a grave cost: they reduce your resistances to zero. Blimey. 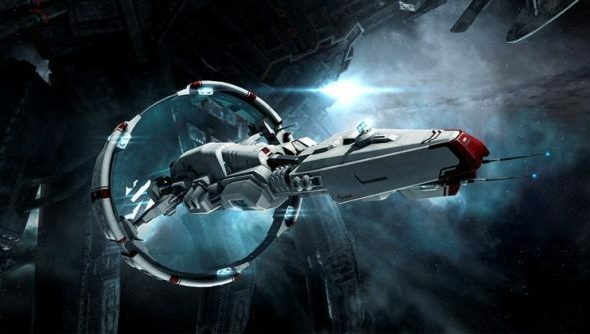 After we’re done with Phoebe, EVE Online players can expect to see another patch in December. Code-named “Rhea”, the contents of the biggest features are still top secret – most being largely story based. That didn’t stop CCP from dropping some subtle hints, and on the flip side some gigantic surprises. Two new ships are on the way: the “TUG” and Tech III Tactical Destroyers. A new freighter-sized ship, codenamed “TUG”, is designed to be able to haul fully fitted ships in its large ship maintenance bay. It’ll allow players to move around battle ready ships from high-sec into the likes of null, and incursion sites. 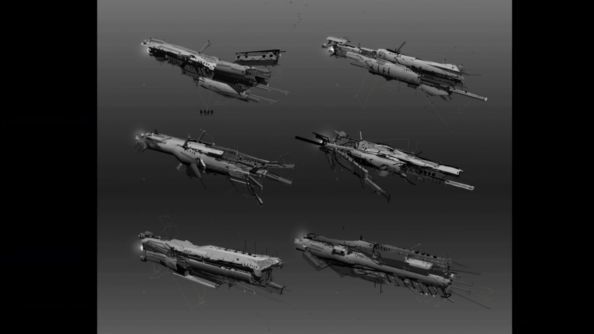 The image above is an early concept of the ship. Alongside the “TUG” is four empire specific tech III Tactical Destroyers. These won’t use the same modular system as the current tech III ships, instead they’ll offer three distinct flight modes that can be switched mid-flight depending on the situation. Defensive mode will increase resistances and reduce ship signature. Speed mode will improve velocity and agility. Finally sniper mode will improve weapon range, lock range and sensor strength. They’ll be built using new Sleeper hull components, which has been a hot topic in the latest unfolding storyline. To recap: the Sisters of EVE announced new Sleeper technological findings, and asked the four empires to donate components, with the empire donating the most receiving an “advantage”. It was revealed today that the new tech III ships will be made available to each empire in order of how much components they donated. Amarr being first, Minmatar second, Caldari third and Gallente last.